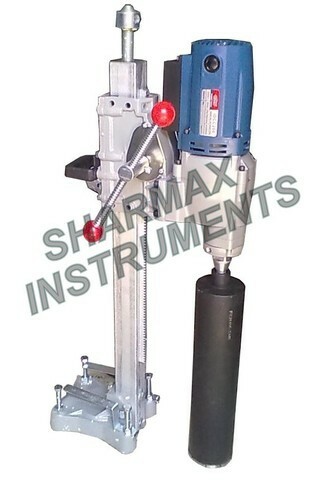 We are a leading Manufacturer of brazilian test apparatus, point load index test apparatus, slake durability index test apparatus, core drilling machine, core cutting machine and core cutting and grinding machine from New Delhi, India. Brazilian Test Apparatus - The instrument is useful for testing specimen from 50mm dia to 100mm and of thickness of half the diameter. 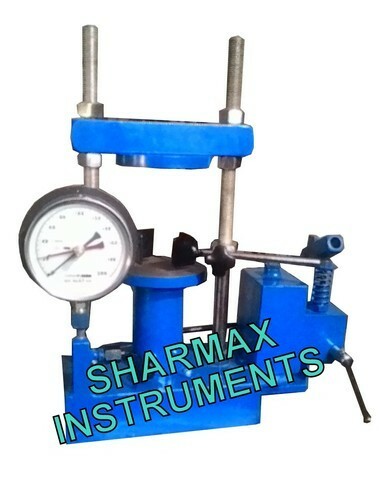 This is to test for indirect measurement of tensile strength of rocks. The specimen is held in circular jaws, this is primarily similar to a compression machine and consists of a small load frame having sturdy base with two vertical threaded rods and an adjustable cross head. The hydraulic jack is fitted at the centre of the base of the load frame. 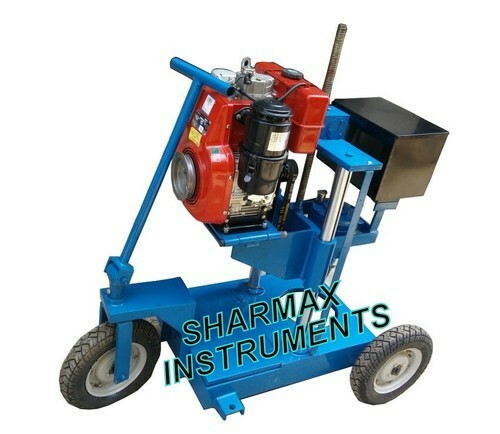 The jack of the load frame is self retracting and two plain platens are supplied. A pressure gauge capacity 0-100 kn x 1 kn is fixed at the base of jack. A maximum pointers is also provided on the gauge, a pair of semi circular platens for 50mm dia samples also provided. The instrument can be used in field also. 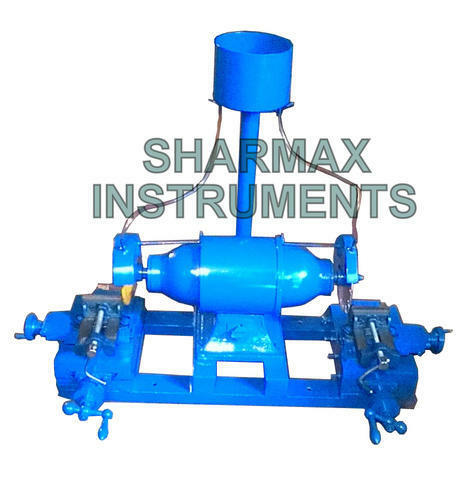 Point Load Index Tester, is used for determining the Diametral Point Load Strength Index of rock cores and irregular lumps which can be tested without any treatment. 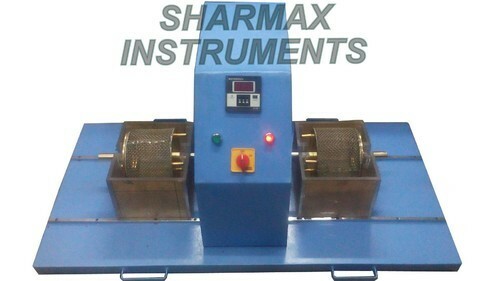 The Point Load Test is primarily an Index Test for strength classification of rock materials. This instrument is mainly intended for field measurements on rock specimen but it can also be used in the laboratory. The results of the test may also be used to predict the uniaxial compressive strength of rock from correlations. The apparatus is light and portable. It can be used in the laboratory as well as in the field. Rock core specimens can be tested without any preparation. With this instrument, a wide range of core sizes can be tested. Drill Speeds 350 R.P.M. to 900 R.P.M. · Water swivel : Built in the machines. 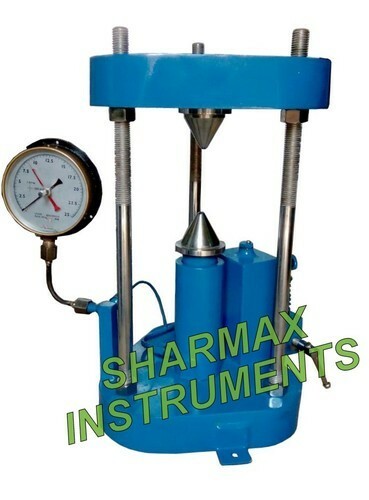 Looking for “ROCK TESTING EQUIPMENTS”?